I had a new customer ask me about the Description Key Set resources supplied in the templates in our Framework for Civil 3D products. “Why are there so many Description Key Sets in your templates? Who needs more than one set of Survey Codes and Descriptions? That is just confusing. Huh? Visualize me sitting there staring at my phone with a glazed look. Me? I’m being human and am totally dumbstruck. Apparently, so is he. “I think you confuse the practical need to employ consistent set of Survey Codes with the real-world need to QAQC the survey gathering work; the different ways you might employ the point data in a design project; and finally how you might want to publish the results of all that work. The Framework for Civil 3D employs a well-documented naming convention for the supplied Description Key Sets. We even supply handy PDF print outs of the Key Sets to help you do markups. However, what each and every Description Key Set does is also documented in the Description property of the Key Set itself. This is available inside of Civil 3D from the Settings tab via a simple mouse-over. All those Set Description properties become important to maintain for everyone. The detailed Style Description properties are not inside the Framework because they are fun to do. The following video about updating Civil 3D point resolutions makes the how to’s and the reasons to do the work is pretty clear. Let’s assume you watch the video. One of the other not-so-obvious but useful benefits of Description Key Sets is you can rapidly build edited copies of them to specialize your work product. Huh? You employ the same set of Survey Codes but by using different collections of Description Key Sets you can more easily specialize your work. A site survey of the commercial shopping center site is not a roadway infrastructure survey for a road widening. Neither are an ALTA survey or a survey for a flood control project. But pretty much the same Survey Codes can drive the different results via Description Key Sets to optimize what you need to deliver with less manual work. Maybe that result is as simple as different layer schemes in the final drawings. Separate collections of Description Key Sets and the other point related resources like Figure Prefix Dbs can more easily make that better result happen. 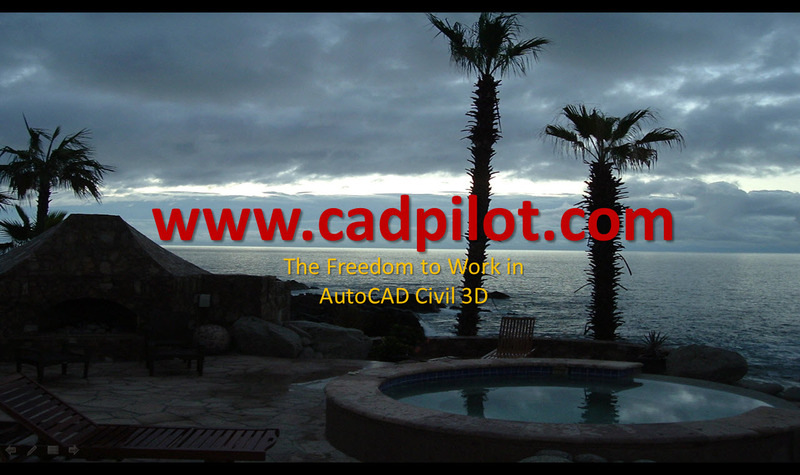 All of that capability is built into the Framework for Civil 3D via the supplied resources and the included Spreadsheet Tools. What the heck – we even supply the Survey Codes Spreadsheet Tool to help you translate any Survey Codes to any others by using Civil 3D Description Key Sets. Whoa. I guess today I have to admit that’s all not as obvious as I thought.